The first class takes place at the waterline; the place where the conscious and subconscious mind come together to support our physical, emotional and spiritual well being. 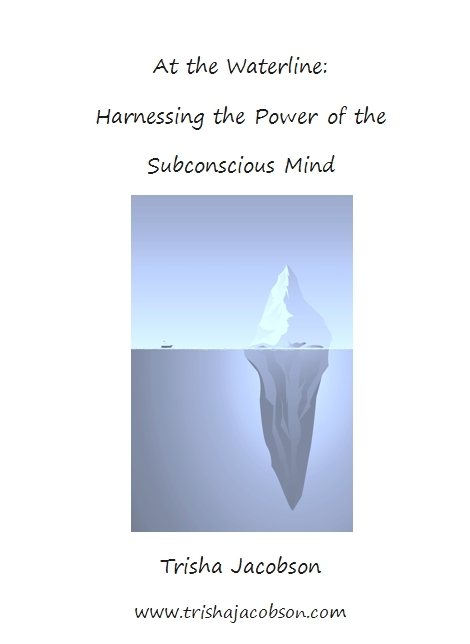 The subconscious mind is a very powerful force and understanding it's role and harnessing it's power will set us on the fast track to clearing blocks to success and creating the life of our dreams! In this audio class, you will gain a basic understanding of the subconscious mind as well as the power that self-talk, thought and the energy around you has on creating the circumstances in your life..
You will learn and practice tools to begin making the shift towards intentionally utilizing your subconscious mind to help you set and reach your goals to manifest whatever you want in life. A link to audio files and supporting materials will be emailed to you every few days over a two week period. This class is designed as Part 1 of a 5 part series Living the Magic of the Law of Attraction. The series is designed as a step by step process with specific exercises, tips and tools to help you harness the power of the subconscious mind and your heart to clear negativity, amplify your positive vibration and clarify your unique vision of your ideal life and use the Law of Attraction intentionally to create it! Lessons are short (usually less than 15 minutes) and have the power to shift your thinking and begin to unleash your personal power to create your ideal life! Living the Law of Attraction intentionally has the power to shift a life of confusion, pain, challenge or struggle to one of passion, purpose, and prosperity and connects us to the magic that is all around us. Click here to see what others have said about going through the process with Trisha!